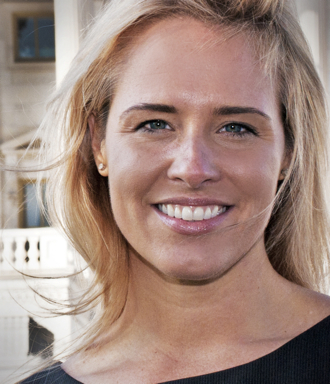 Meet Marci Harris, who wants to fix your broken line of communication to Congress. FAST COMPANY: So you’ve created a new way for Congress to ignore us. MARCI HARRIS: Noooooo, on the contrary. I come from a background as a congressional staffer. Congress really wants to hear from constituents. The problem is that technology has made it harder to hear: There’s too much noise. There’s so much coming into Congress now, an exponential increase of messages and phone calls, before you even get to tweets and Facebook posts. What’s your background in politics? My dad is a very Republican mayor of a small county in Tennessee, and my mother is a very liberal activist in the Democratic party there. No, they’re not still married. I always say I grew up in a very bipartisan focus group. When I finished law school I went to work for [California Democratic Representative] Pete Stark. I was just blown away by how inefficient the information and data flow was through Congress, at every level. There is no more information-intense environment as Congress that has as great an impact on as many people. I sat there for three years taking notes on how somebody ought to fix this, and I realized it couldn’t take place within Congress, but needed to be built on the outside. Why couldn’t it be built within Congress? The institution is set up with caucuses. Within the House right now, there are two different tech platforms set up: The Democrats have one, and the Republicans have another. An infrastructure doesn’t exist for anything to benefit the institution. A House divided against itself cannot communicate. There are some heroic efforts from inside, but it’s still a very uphill process. I remember the first time [Colorado Representative] Jared Polis came into a caucus meeting with a laptop, people looked at him like he came from another planet. This was probably three to four years ago. So how does PopVox work? Every bill feeds into PopVox and gets its own page. Organizations supporting or opposing a bill can take action to oppose or endorse it on PopVox. Individuals can also use PopVox to weigh in and leave a message, which is translated to their legislator in the most efficient possible way. We verify their addresses, bouncing against three different databases. We’re one of the only companies that guarantees 100% delivery; if a message doesn’t go through electronically, we’ll hand-deliver it. We make sure every message goes through a Member of Congress’s existing correspondence system. How does this increase the signal-to-noise ratio that Congress is hearing? Think about being on the receiving end of some message that says “Save the whales!” or “Balance the budget!” The requests that come in are usually very general: There’s no actual ask. “Save the whales” might mean one thing to one person and another to another. Really? Doesn’t it just mean, save the whales? But think about it: If there are five different bills in Congress, and one is a tax credit for ships that place a certain kind of radar on boats so they can avoid whales, while another makes grants that create whale education programs in schools… The way things get done in Congress is not in generalities. A generic request coming into Congress is as good as nothing. The professional lobbyists know this, by the way: They say: “HR 1234, vote yes–that’s our request, and we’ll be back next month to see if you did it.” PopVox is an attempt to give the People with a capital P the same ability to hold Members of Congress accountable, and that starts with a concrete ask. And it focuses the ask on something Congress can actually do, rather than just random tweets to make them feel bad. 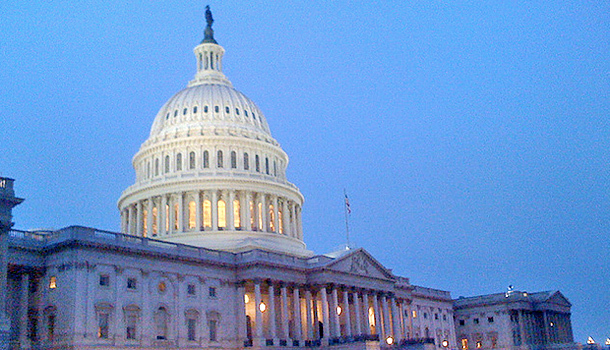 Is your site a hit on the Hill? And do they? Can you share numbers on users? One thing I will say is we have users in every congressional district, and we analyzed positions based on sponsors of bills, and it broke down to be about 52% Republican, 48% Democratic. One thing I always have to explain is that for us, it’s very important that our early adopters not be all based in Silicon Valley. PopVox only works if it’s spread across the country. It feels like it’s been a big year for digital organizing everywhere. What happened with SOPA advocacy was very interesting. A lot of people ask about the Arab Spring. Facebook and Twitter are ways of saying, “Let’s all go meet in the square,” and it really makes sense for that kind of blunt tool to be used during a revolution. But for the intricacies of extending the payroll tax cut, for detailed policies that are much more mundane and day-to-day–what happens in a functional democracy–we need sharper and more specialized tools. One thing we’ve always said amongst our team is that this is going to exist. Whether we’ve hit upon the right way to do it is what we have to prove, but even if we fail, someone else will pick up the mantle. It’s something people want, technologically it’s now possible, and it’s almost evolutionary that it will exist. This interview has been condensed and edited. For more from the Fast Talk interview series, click here. Know someone who’d make a good Fast Talk subject? Mention it to David Zax.